Cape Town - Some would argue, and hardly without justification, that the statistic carries only limited weight. But it also irrefutably down on paper that South Africa have ended up winning a very healthy 84 percent of their white-ball (ODI and Twenty20 combined) fixtures this season ... and that is not to be sniffed at. The Proteas played a total of 25 matches (one additional fixture, a T20 one against Zimbabwe at Benoni, was abandoned without a ball being bowled) across the two formats in 2018/19, winning 21 of them and losing only four. Yes, they played a couple of "soft" opponents along the way, but that will generally be the case for most teams, and included in the itinerary were series against Pakistan, the ICC Champions Trophy holders, and away combat against Australia that can never be taken lightly despite the delicate rebuild going on in cricket there after the ball-tampering shenanigans of a year ago. It is also true that the most recent visitors to our shores, Sri Lanka, were a massive disappointment once their startling Test series exploits were out of the way; the one-day portion only enhanced their lengthy reputation for deep woe in that particular area. 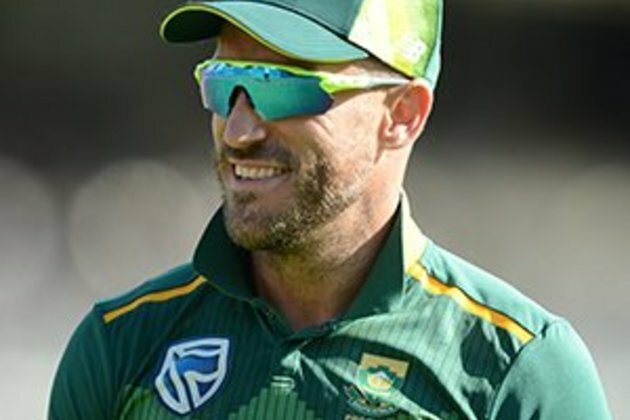 There could be some hazards attached, come CWC 2019 in late May, to the fact that the Proteas were so seldom stretched to thrilling finishes in the eight white-ballers (five ODI and three T20) that they ended up clean-sweeping against a 'Lankan outfit who looked dishevelled and even struggled to get basics right - shot selection, ground-fielding, you name it - a lot of the time. So a false sense of their own majesty by South Africa? It is possible, although bear in mind that the more you condense bilateral cricket contests, the closer teams are usually considered to be brought together and not that many victories can simply be taken for granted. The Proteas also contain plenty of shrewd enough individuals both in the squad and management to know that altogether steeper obstacles will loom in the UK. Yet the fact remains that the current Proteas are, at least, winning limited-overs cricket matches immeasurably more often than they are losing them, which is useful from a morale and confidence point of view even as significant flaws (more related to their collective batting quality and firepower than anything else) still present themselves. They end this season, remember, in a far rosier position than they did last, when India were headline visitors here and gallingly monopolised the one-day portion of the tour: they thrashed the Proteas 5-1 in the ODIs (a rare home humiliation) and also beat them 2-1 in the T20s, often tying them in knots with some high-class "mystery" spin. A certain stabilisation, at very least, has occurred since then, to the credit of coach Ottis Gibson, captain Faf du Plessis and others - you'd have to be a serious cynic to wholly dispute that. The trip to Australia in late spring was a special highlight of the 2018/19 white-ball programme for the Proteas, as they won both series there (2-1 ODIs, plus the once-off T20). If you combine the four ODI series they played in the season (all won, against Zimbabwe, Australia, Pakistan and Sri Lanka in that order), South Africa had an 81.25 percent win record: 13 triumphs in 16 games. As far as the less pertinent matter (at least in respect of CWC 2019) of T20 combat is concerned, the Proteas also prevailed in all four series (same quartet of opponents) and clinched eight of the nine games for a lofty win percentage of 88.88. *There is no further official white-ball cricket for them now until the World Cup itself, although they will play non-ODI-status World Cup warm-up matches against Sri Lanka again (Cardiff, May 24) and West Indies (Bristol, May 26).